With dragon fruits in season and because my mother and I like the fruit, we both decided to make a dessert using the fruit. 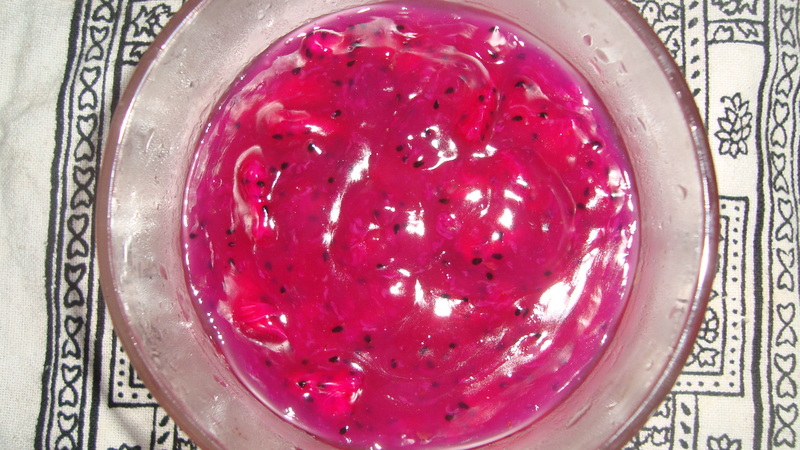 So, here’s the recipe for the dragon fruit pudding that my mother made. I had attempted to make a vegan red velvet cake using dragon fruit pulp as both an egg substitute as well as a source of natural red colouring but the cocoa powder in the batter simply overruled the rich red colour of the fruit. I will try the recipe once more with some adjustments and see if it works out. 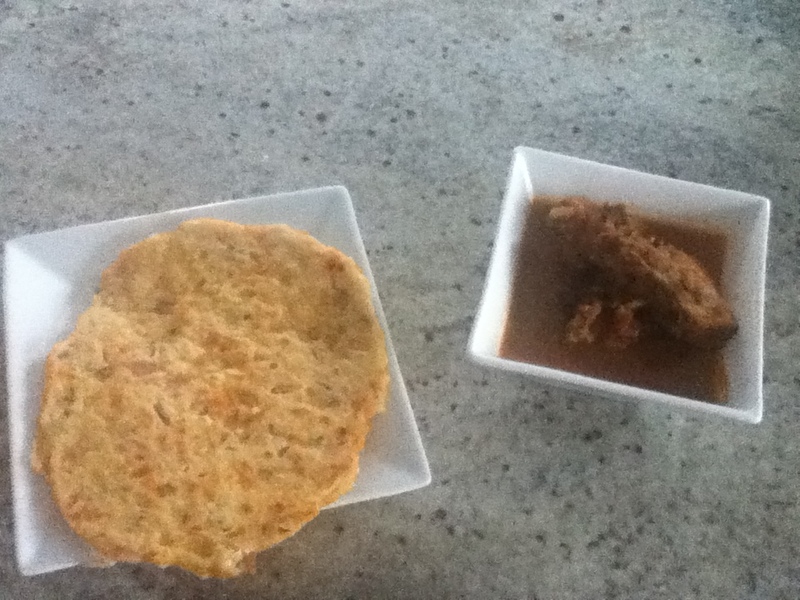 My next post on the blog will be in October as I will be travelling and will not have access to my recipe base. Put the chopped dragon fruit and water in a sauce pan. Mash it coarsely with a spoon. Add a few drops of rose essence to the pan and mix well. Add the corn starch to the pan and stir. Cook on low heat for about 3 minutes, stirring continuously. 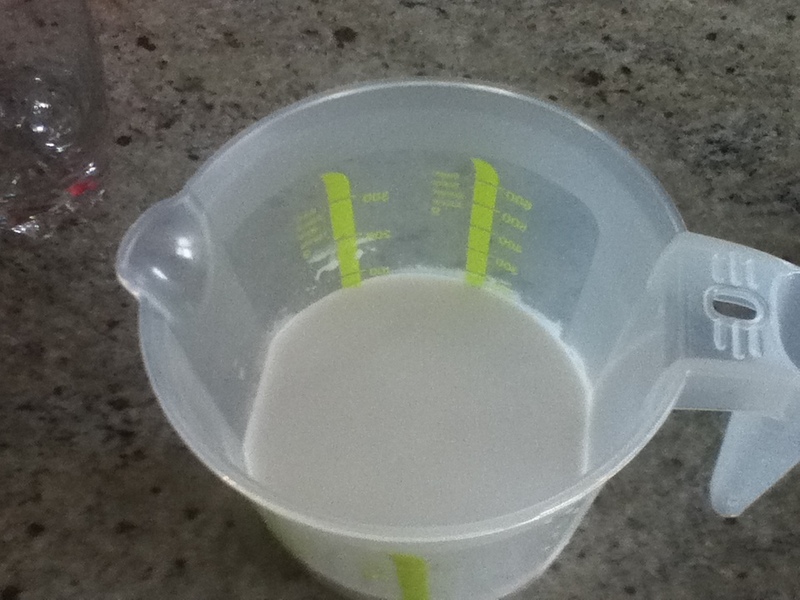 The mixture will start to thicken. Remove from heat. Transfer the pudding to a bowl and let it cool. Mix 1 tsp lime juice and 1 tsp sugar and drizzle on top. The pudding can be served warm or chilled. 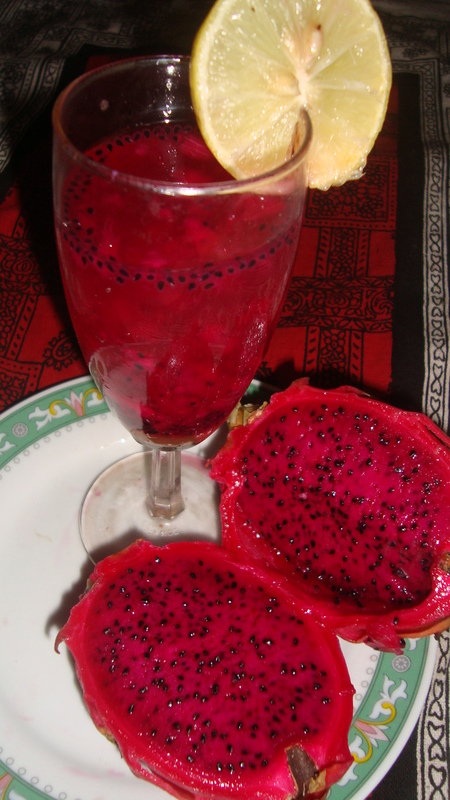 The fresh fruit juice for this weekend is dragon fruit juice. Though the fruit is native to the central American region, it is also cultivated in South east Asia and Sri Lanka. Besides being an impressive fruit to look at, it is rich in Vitamin C and is a good natural source of antioxidants. Simply blend the fruit pulp with some lime juice and a dash of sugar and enjoy the dazzling and nutritious drink! Today’s guest blogger is Sunera Edirisuriya, a staff member of Save the Children. She will be sharing a little background information on Matara district’s specialty seafood dish as well as her mother’s recipe for it. This is one of the famous fish curries which is unique to down south Sri Lanka. It does not mean that this curry is not cooked in other parts of the country yet there is a difference in the flavour and the ingredients used. 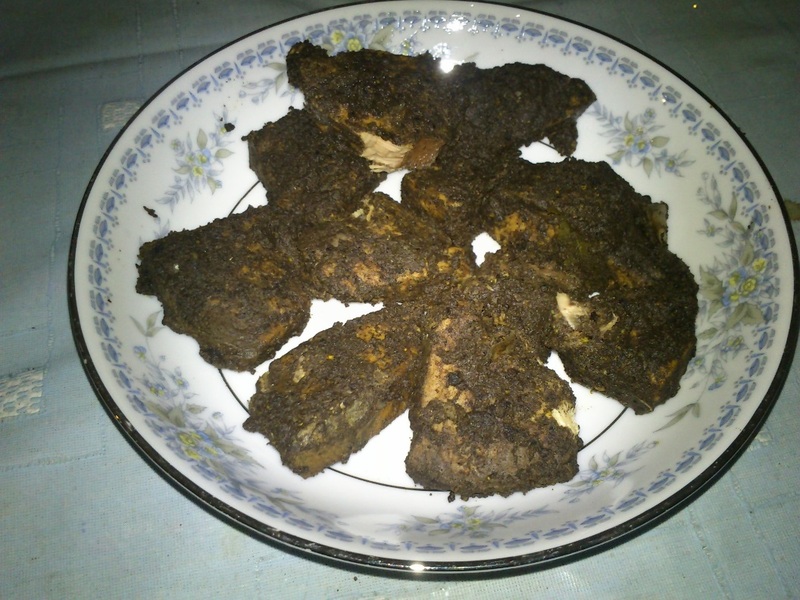 Due to its origins in the south, it is customary for people from the south to take a pot or jar of malu ambulthiyal when they visit relatives living elsewhere. 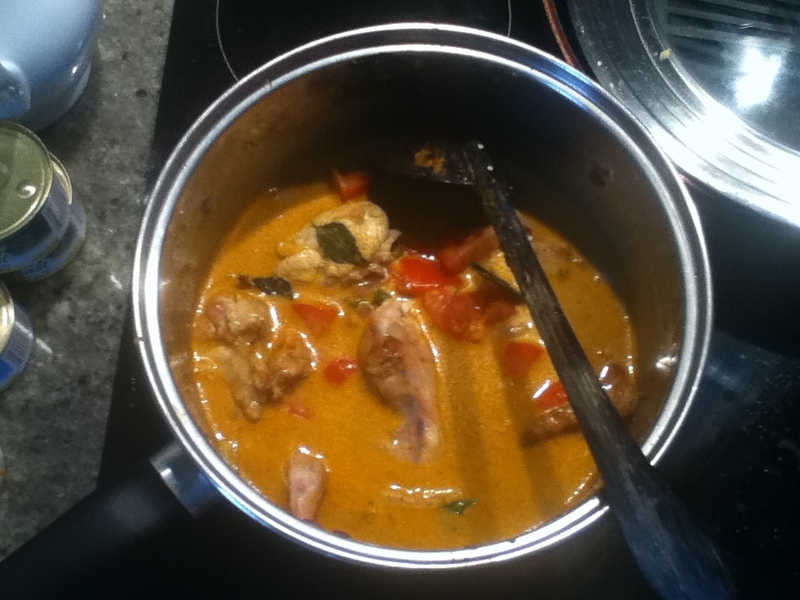 This fish curry can be served with rice and other curries. Specially, Malu Ambulthiyal pairs well with Kiribath (Milk rice) and katta Sambola. In our family, we never miss Malu Ambulthiyal at the meal table during the Sinhala and Hindu New Year festival. It was my paternal grand-mother who used to prepare this dish and then my mother and now my elder sister brings this curry to our New Year meal table. Cut the fish in to small pieces (15-20) and wash them properly. 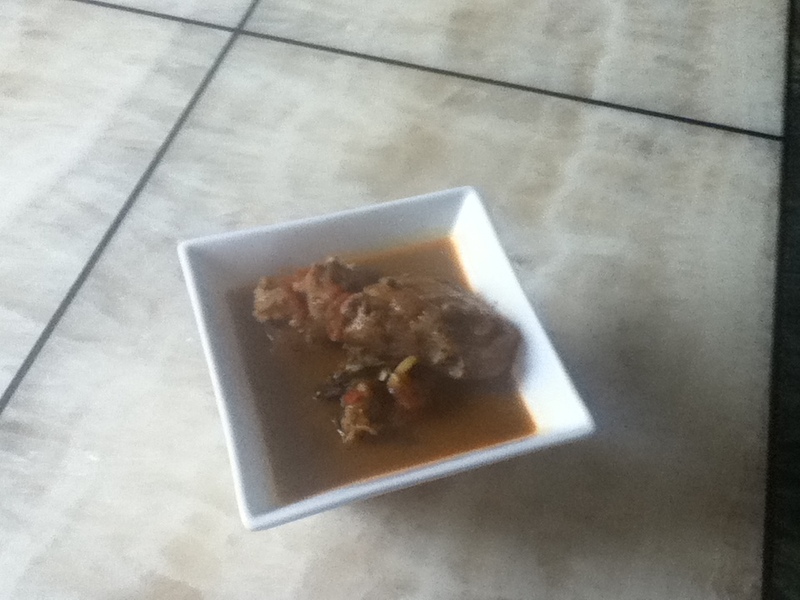 Put the pieces of goraka in a saucepan with a little water and simmer until the goraka is soft. Put the fish, goraka paste, pepper, curry leaves, cinnamon powder, salt and green chillies in the pan and mix them well until all the fish pieces are well coated. Add 1 cup of water to it. Cook the mixture over low heat for 20 mins. It would be much more delicious if this dish is cooked in a clay pot. Serve with rice or kiribath. Today’s guest blogger is Eating milk and honey blogger Flowers for the moon/ Sandamali, who graciously accepted my invite to share one of her favourite recipes. My name is Sandamali and I am a fellow blogger on WordPress with an interest in Food and Life. 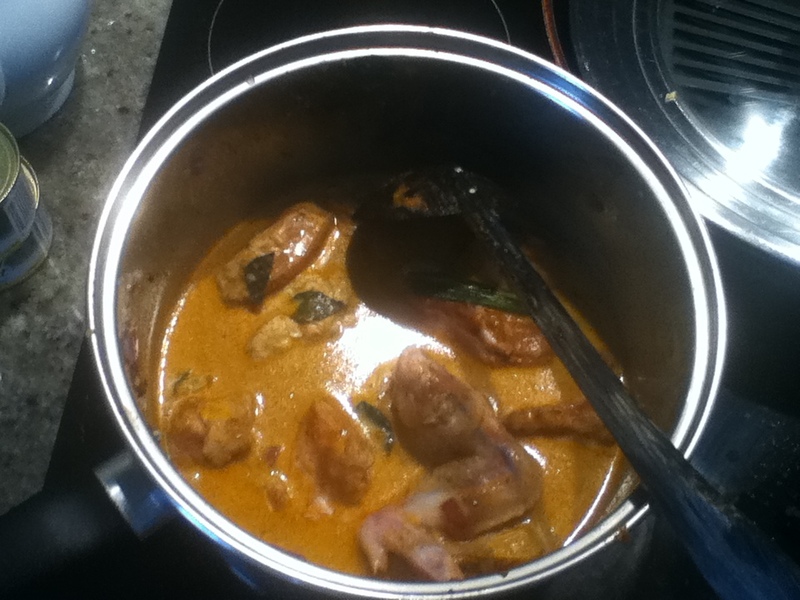 I would like to share with you my mother’s chicken curry recipe. If you said you were stopping by our house for a meal, you can be sure this would be on the menu. Mum never specifically taught me how to make it, but I have watched her make it countless times and eventually came up with my own version. Usually it is accompanied by Ala Badun (Fried Potatoes), Dhal Curry and Batu Moju (Brinjal Pickle) and a salad and poppodums to be served with either Yellow Rice or Fried Rice. 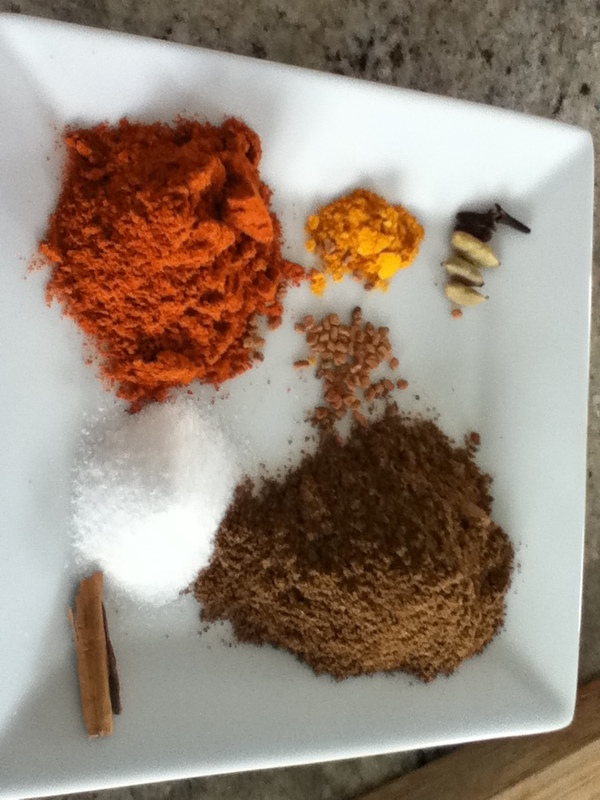 Add all the dry spices and mix well until the chicken is well coated. Hold back 1/2 teaspoon for salt to taste and add later if required. Add tomato and green chillie and simmer on medium heat for half an hour or until chicken is cooked. Taste and add more salt if required. Recipe source: Sandamali/ Flowers for the moon from Eating milk and honey blog. This dish is considered a highly nutritious dish and is particularly made for those recovering from a serious illness or childbirth and who need to eat a diet with more calcium content. This is my grandmother’s recipe as remembered by my mother. Sorry that I do not have an accompanying photo for it as my parents have been vegetarians for nearly 15 years now. Place all the ingredients except oil – the cleaned nethali, chopped onion and chillies, tamarind extract, crushed chillies and salt to taste – in a pan. Cook on low heat, for around 15 mins, till the gravy thickens. Drizzle some oil on the edges of the curry before removing the pan from stove. 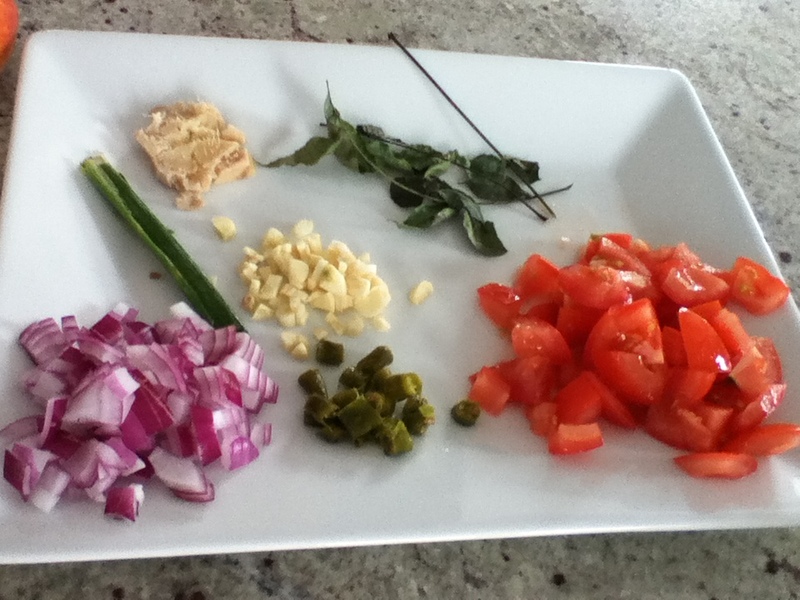 Today, I will share what my mother calls her ‘Ayurvedic’ salad because of the vegetables she uses in it. This salad is particularly good for regulating your sugar and cholesterol levels. I like it because it is colourful and crunchy and combines a vegetable I don’t like so much – radish – in a more appetising way. 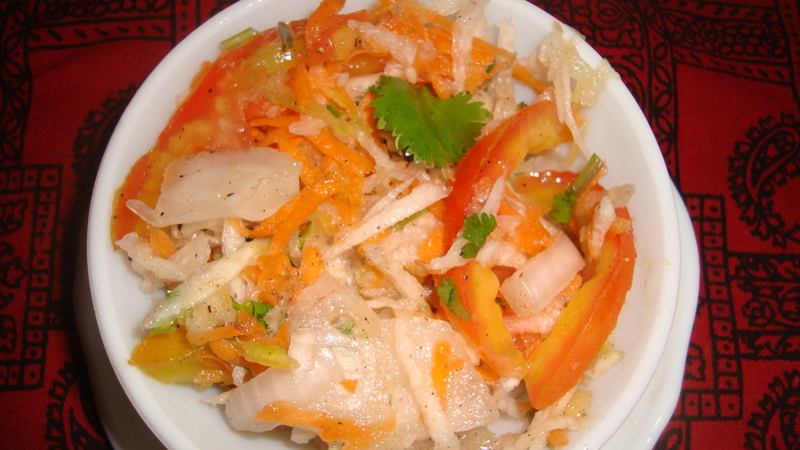 Place the salad ingredients – grated radish, bitter gourd, carrot and the chopped onion and tomato – in a bowl. Season with salt and pepper, to taste. Toss to combine. Garnish with coriander and drizzle some lime juice over the salad. 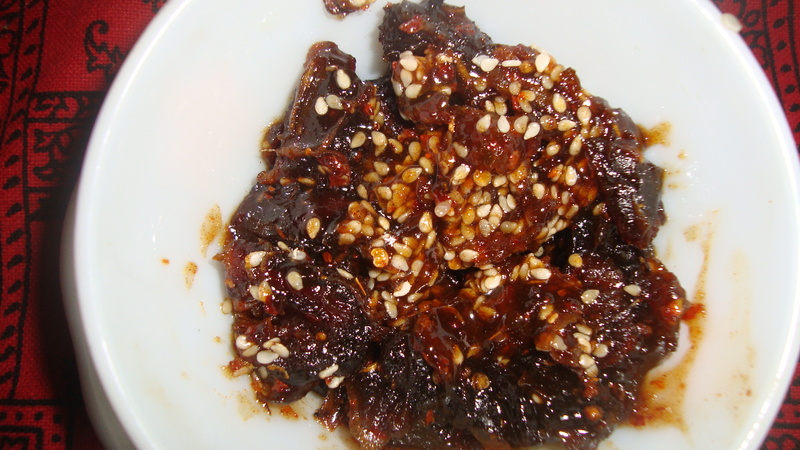 The second recipe I would like to share today is my mother’s recipe for her version of date chutney. She is particularly fond of the unique flavour arising from the chilli infused date sauce. 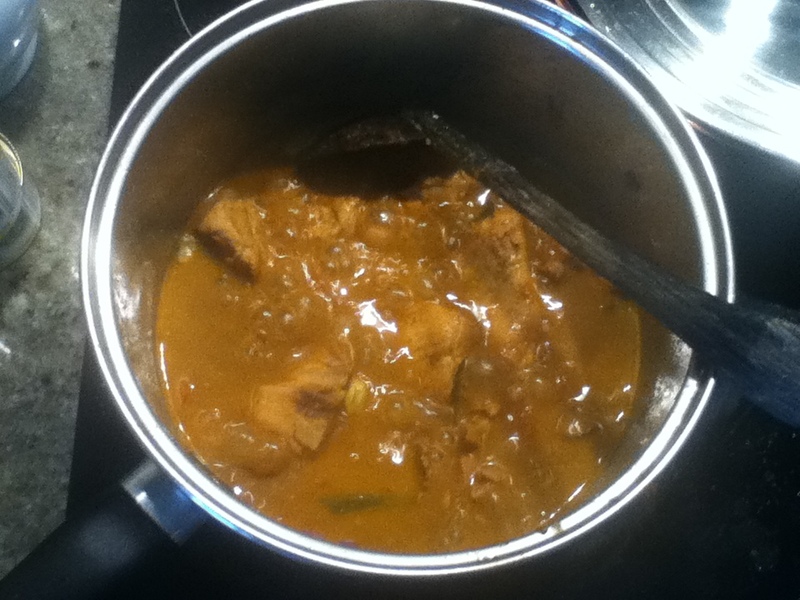 Heat the jaggery, brown sugar and water in a sauce pan, on low heat, stirring continuously for about 2 to 3 mins. 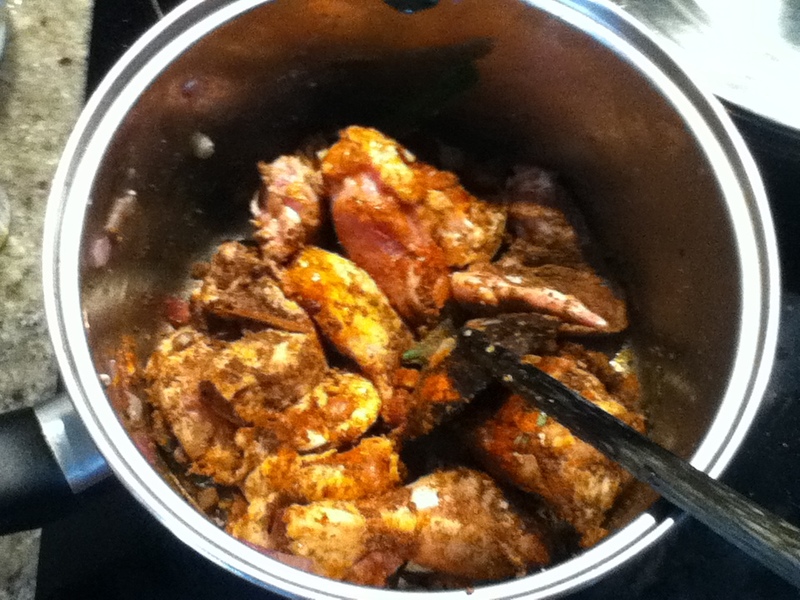 Stir in ½ tsp crushed chillies and ¼ tsp cumin powder and cook for a minute. 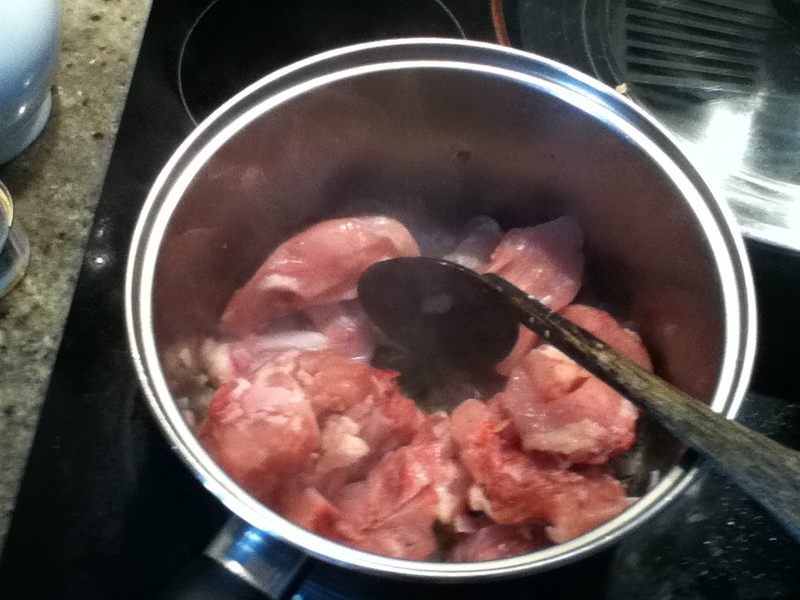 Add the mixed 3C powder to the pan and let the sauce simmer for a minute. When the sauce starts to boil and bubble, add the sesame seeds. Mix well. Add the chopped dates and continue to let the sauce simmer on low heat for a few minutes till the sauce thickens and the liquid starts drying up. Season with a pinch of salt before removing from heat. 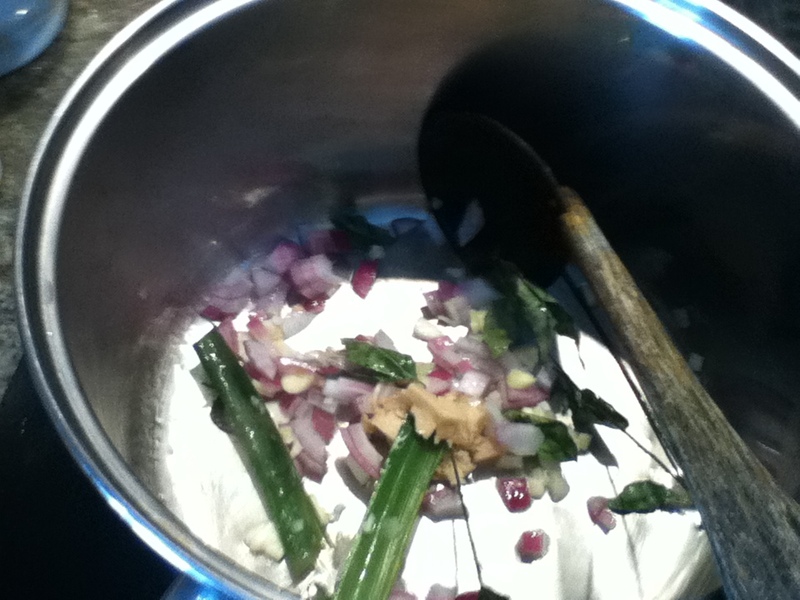 The chutney can be kept for several days in an airtight container.